Proper drainage is essential for indoor plumbing and outside drainage pipes. No matter where water is being drained it will need to drain properly to prevent problems. BZ Dependable Plumbing has a team of skilled plumbers in Teaneck that understand the importance of outdoor drainage and can handle any outdoor drainage project. Whether it is through use of a French drain system, or proper landscaping, outdoor drainage is essential in protecting your home, foundation, lawn, and landscaping from water damage. Without proper outdoor drainage, heavy storms can cause flooding in your yard, which can quickly become a huge mess. Pooling water can then lead to property damage of all sorts, including yellowing of the lawn, low spots in lawn or visible paths where water flows, damage to trees flowers and plants that are in water-logged soil, or soil erosion. Excess water can also damage the foundation of your home or basement, which can result in costly repairs. Some topographical issues that may cause drainage problems are lingering surface water and high water tables. With lingering surface water it is important to utilize surface drainage, such as surface grading. With hardpan or dense soil, the water cannot penetrate the soil quickly enough, which leads to flooding. In these instances, installing underground drainage pipes may be required. With high water table issues, the oversaturation of soil can be remedied by putting in water-loving plants. In most cases, landscaping might be the best option since the water table cannot be changed. Each of these outdoor drainage problems should be handled by professional drainage experts, such as the experts at BZ Dependable Plumbing & Heating Inc..
BZ Dependable Plumbing & Heating Inc. is a licensed plumbing company that offers quality plumbing services in Teaneck, New Jersey and the surrounding areas. Our licensed plumbers understand how proper outdoor drainage systems work, and we want to help ensure that your home is properly drained from the inside out. HILLSDALE PLUMBING Q/A: WHAT CAN CAUSE A HIGH WATER BILL? There are few surprises more unwelcome than opening up a bill and finding that it is higher than usual or expected. An increase in water bills that cannot be accounted for by changes in your water usage can be indicative of a problem with your Hillsdale plumbing system. Here are some possible causes of your high water bills from BZ Dependable. If you think that you may be experiencing any of these issues call us right away for assistance. Let’s be honest, we’ve all ignored a small leak here and there for longer than we probably should have. If you’ve put off these little fixes for a while, it’s possible that this is the cause of your increased water bill. Between shower heads, tub fixtures and all the faucets in your home, a couple little leaks can really add up. Check the surfaces around your fixtures for unexplained wetness. If you think you have a problem, call BZ Dependable. We’ll make sure that when you shut your faucets off, they stay off. When the weather gets hot and dry, it’s natural to want to help you lawn or garden out a little. Monitor the frequency with which you are doing so, though. Just because you water your plants and lawn year round doesn’t mean that you aren’t spending a bit more time doing so in the summer. Increased frequency of watering may not even be noticeable to you, but if you track your habits you may find the cause of your high water bill. If you are certain that nothing has changed with your water usage and that your exposed plumbing fixtures are fine you may have an undetected leak in your system. If you have reason to believe this is the case then it is important you call for professional help right away. Depending on the size and type of leak you have your home could face some serious damage. A crack in your water main, for example, will need to be dealt with immediately. You may need to have a new line put in. Keep your eye out for any moisture at the bottom of your walls or on your floor. It is possible that a slab leak could be responsible for increased bills. This presents a concern for the very foundation of you home, so early detection and service is a priority. We hope that this information has been helpful and encourage you to call us at BZ Dependable with any further questions. We’re here to make sure that everything is running smoothly with your Hillsdale plumbing system. Whatever issues you’re experiencing, we have the training and skills to deal with them. Posted in Plumbing | Comments Off on HILLSDALE PLUMBING Q/A: WHAT CAN CAUSE A HIGH WATER BILL? Clogged drains are a problem for many Tenafly homeowners. However, there are many things you can do to stop clogs before they start, and safely maintain your drains to reduce plumbing problems. At BZ Dependable Plumbing & Heating, we have the Drain Maid Maintenance Program with Biosmart, which allows us to clear drains without toxic chemicals. Call us today if you are interested in this service! Before we describe how the BioSmart System works, we are going to go over a few different ways you can prevent drains from happening in the first place. First, be careful what you are putting down the sink. Never pour grease down the drain, and don’t flush objects like tissues or hair. If you have a garbage disposal, remember not to overload it with too much food at once, and to run the faucet before and after use. These things might seem trivial, but they are some of the main caused of clogged drains. If your drains do clog, the Biosmart drain treatment can help clear the clog without the use of harmful chemicals. Instead of chemicals, Biosmart is composed of enzymes and bacteria which break down grease and organic matter. This is similar to how sewage treatment plants breakdown waste into material that can be absorbed into the soil, and it is a safe and environmentally friendly way of dealing with clogs. An added benefit of Biosmart is that low levels of the bacteria and enzymes will remain in your system for weeks, which will help prevent future clogs from forming. In fact, as a part of preventive drain maintenance, we recommend pouring half a cup of Biosmart every month to help keep your Tenafly plumbing system working smoothly. For more information about the Biosmart or for any plumbing repair in the Tenafly area, give BZ Dependable Plumbing & Heating a call today! HEADED ON VACATION? HAVE YOU CHECKED YOUR WATER MAIN? It is summer vacation time again! 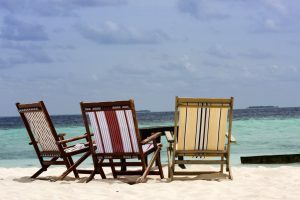 We hope you and your family are headed somewhere nice, but want to remind all BZ Dependable Plumbing and Heating customers to make sure that you prepare your home for you departure. As you pack and rush around getting ready to go on vacation it is easy to forget to prepare your home. Make sure that you unplug appliances that won’t be in use. You should also set your AC to vacation mode, or manually increase the temperature to 80 degrees to save money on energy bills while you are gone. Be sure that all windows are securely shut and locked and blinds or curtains are closed. Not only is the a good security measure, but also helps to keep your home cool and lower energy costs. Last but not least, be sure to shut off your water main is you will be gone for a prolonged period of time. This helps eliminate a water emergency while you are away. For shorter trips (day trips or weekends) be sure that all faucets are turned off and that your toilets are not running. If you suspect that you have a leak somewhere in your plumbing it is a good idea to have a technician perform leak detection prior to your vacation. Be sure to leave the BZ Dependable contact information for anyone house sitting so that we can address emergency situations. Posted in Plumbing | Comments Off on HEADED ON VACATION? HAVE YOU CHECKED YOUR WATER MAIN? Your toilet is one of the most used and most necessary conveniences in your Bergenfield home. When your toilet is not working properly you’re going to want it repaired correctly and right away. BZ Dependable can take care of all your problems quickly and professionally. Here are some common problems you may notice with your toilet. If you experience one of these, or any other problems with your Bergenfield toilet, call BZ Dependable right away. All the major plumbing functions that your toilet performs take place in the tank. This is a very likely spot for problems to occur. It is also conveniently accessible. The tank contains the necessary water to flush the toilet and contains the apparatus that fills and empties your tank, which includes both the fill and flush valves. If you’re toilet is running constantly, chances are that you have a problem with one of these components. The flush ball or flap may not be properly sealing, the level of water in the tank could be too high and running into overflow pipes, or your flush valve may not be sealing. It’s easy to be alarmed when you notice that there is water on the floor surrounding your toilet. Your tank bolts may need tightening, the water connection to the tank may be loose, the base of your toilet may need to be resealed or the tank may need better insulation. Whatever the problem is, only professional inspection can rule out something more serious. A clogged toilet is probably the most common plumbing problem of all. There are many different causes of clogged toilets, and the severity of the situation can vary greatly. When a simple plunging doesn’t suffice or your toilet is clogging more and more frequently, a professional Bergenfield plumber is your best bet to diagnose what may be a serious plumbing issue. Whatever questions or concerns you have about your home’s plumbing system, BZ Dependable has the answers. Call us anytime for help with your plumbing needs.